What a creative and talented designer Colleen is! What’s more, she knows about print production, website design and maintenance, social media marketing and so much more that’s needed to propel an organization to the next level. She is a passionate, trustworthy, deadline-conscious professional and a go-to resource. I admire her a lot! I have worked on four book projects with Gratzer Graphics. In every case, it has been a dream. All of the projects were completed on time and to a very high standard. The thought of creating a new website for our nonprofit organization overwhelmed us, although we knew one was badly needed. Gratzer Graphics made it painless! They educated themselves about our work and took our ideas to a new level. They updated our logo and created a clean, new, easy-to-use website that is mobile friendly. The simplified donation process has increased donations a striking 33% for the first 3 months over the same time period last year. Heartfelt thanks to Gratzer Graphics. We’ve gotten lots of compliments from colleagues on the book cover. It’s really outstanding! In the 3 days after sending a product e-mail using the new design, we saw an unprecedented spike in purchases. Strong unique open and click rates were fantastic, but the impact to our bottom line was well worth the investment. Colleen did a great job creating a beautiful website for my client on a shoestring budget. Her design was innovative and she made the entire process from wireframes to final product seamless. You did a beautiful job! Our new branded postcards and email templates will advance our marketing image and enable us to communicate better with potential attendees at our events. Working with Gratzer Graphics has made all the difference in the world growing Sunflower Bodyworks. 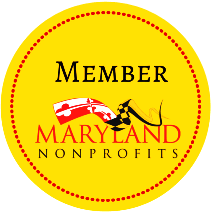 Our website, e-newsletters, and print materials … we have them covered beautifully and professionally thanks to Colleen’s expertise and good counsel. Perhaps more importantly, I know Colleen cares about me and about Sunflower Bodyworks. She’s part of the team and is integral to our success! Turnaround is prompt, eagle-eye proofing is excellent, and rates are fair! Gratzer Graphics rocks! Thanks, Colleen! Thanks for all your work on the creative brochures. It looks like they caught the attention of a good number of people and gave us better conference attendance numbers than had been hoped! As a fellow designer, it was a pleasure to work with someone who goes the extra mile to do the best job. I enjoyed working with you and look forward to other projects in the future. You are not just artistically talented, but you must surely be gifted in reading minds as well. I really feel like you captured everything I wanted CARES to be represented as. The entire process has been a pleasure. Thank you again so very, very much. Colleen’s a sharp, fast pro with an eye on quality and on your budget. She knows the forest and the trees. Two fine experiences with her; looking forward to more. It has been absolute pleasure working with you!! You were just wonderful and the media kit is exactly what we wanted! Easiest time we had doing this material in years, so thank you! I will certainly pass your name along to everyone I know, and you are on our list for next year. It’s always great working with you. I’m pretty much always impressed with the work you do, which is why we keep coming back to you. I am always delighted to refer you to potential clients, knowing that you always do excellent work for me. You’re accurate, speedy, and great to work with, even when the client is a challenge. I’ll be calling on you again as soon as I have another project for you. We were pleasantly surprised about how fast we produced [brochure], thanks to everyone on the team. I did say you had done an outstanding job. I thought your design was very innovative and appealing. This will be a great boost to our organization. I am sure it will be getting many compliments from our board, our agents, our church participants and others. Everyone loved it—they’ve been used to getting plain Word docs … and client said everyone at the conference commented—much easier to read and understand the content. I am extremely pleased with the logo that I commissioned from Gratzer Graphics. Not only did I get a wonderful product, but Colleen was very attentive and extremely helpful in the creation of the logo. The proofs that she provided me were top quality and helped me quickly narrow down my design choices to come up with a finished product. I have received glowing commentary regarding my logo and would happily recommend Gratzer Graphics to anyone with a graphic design project. 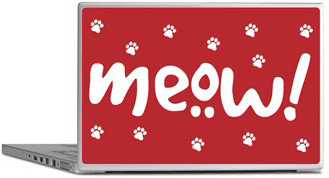 This laptop skin Colleen designed was shown on NBC’s Go On (season 1, episode 4) on Tuesday, September 25, 2012. 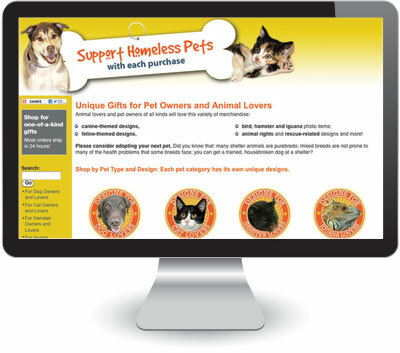 All proceeds from her stores are donated to shelter animals. Colleen was featured in the Frederick News-Post for having created online stores to raise money and awareness for shelter animals.